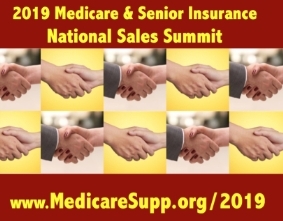 The names of companies who will be exhibiting at the 2019 National Medicare and Senior Insurance Summit has been announced by the American Association for Medicare Supplement Insurance. "Historically this is the largest gathering of insurance professionals who exclusively focus on Medicare Supplement insurance as well as related senior products," explains Jesse Slome, director of the American Association for Medicare Supplement Insurance (AAMSI). "One of the conference highlights is the opportunity to spend time in the conference exhibit hall because nothing can ever replace face-to-face marketing." The Association posted the names of companies set to exhibit at the 2019 event. "The list represents the who's who for both Medicare Supplement insurance as well as many senior insurance products," Slome explains. "Insurance agents who offer Medicare Supplement also tend to market Medicare Advantage plans as well as senior insurance products like final expense insurance, life settlements, annuities and long-term care insurance." To learn more about the Association's 2019 event and to see the list of companies exhibiting, visit the Association's website at www.medicaresupp.org/2019-conference-exhibitors. The American Association for Medicare Supplement Insurance is a professional advocacy organization that supports insurance professionals who market Medicare insurance products. The organization is based in Los Angeles, CA. 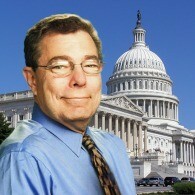 Jesse Slome is director or AAMSI as well as the American Association for Long-Term Care Insurance and the American Association for Critical Illness insurance. The American Association for Long-Term Care Insurance and the American Association for Medicare Supplement Insurance advocate for the importance of planning and support insurance professionals nationwide. Jesse Slome, founder and executive director of the organizations, is a leading consumer advocate and author of numerous consumer and professional guides focused on retirement and insurance planning that have been published by governmental agencies and private organizations. Get E-mail Alerts When American Association for Long-Term Care Insurance Sends news releases.